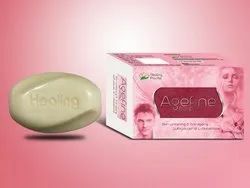 We are engaged in offering Antiaging transparent soap ALINE with Alpa Hydroxy Acids, Grapeseed Oil, Aloevera, Natural Vitamin E. which has excellent antiaging effects on regular use. The new product that comes in a bar soap is more enhanced to totally answer the need to ward off the imperceptible signs of aging, stress and harmful elements in our skin. For even white skin tone, use this Royale L Gluta Power Whitening Soap. It has got a scent of fresh sampaguita and removes dark spots, reduces and gets rid of freckles, age spots and pimple marks. It whitens the skin, moisturizes and nourishes it and make it look radiant and flawless. With extensive knowhow in this domain, we are indulged in providing a supreme quality gamut of Anti Aging Raspberry Soap. It is a great privilege for you to have an opportunity to use this wonderful soap mixed with 99.99% pure Gold flakes, Vitamin E and Ginseng extract to enhance and beautify your facial skin that will make you look younger, radiant and get rid of pimples from your face. Brom's Cosmetics & Accessories Pvt. Ltd. 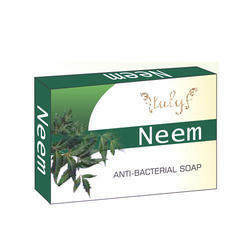 In order to meet excellent quality standards, we are supplying a wide range of Ayurvedic Anti Ageing Soap.